From the earliest to the latest releases, here's a closer look at MoVas' offerings so far. In Part 2 of our series on the watchmaking processes at Movas Watches, we talked about the production process that happens at Movas every time a new watch is made. 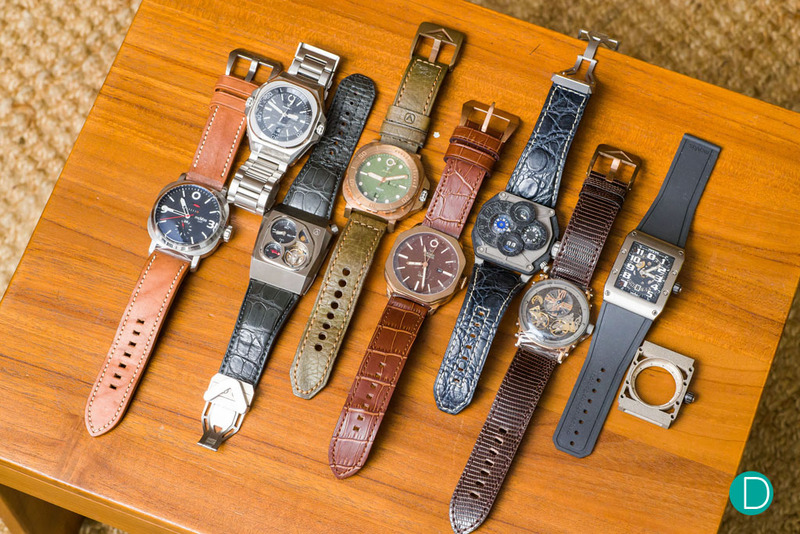 Today, we examine closely the current lineup of watches that Sean Wai of Movas has made, and highlight some details on the inspirations behind each one. This was amongst the first few watches made by Sean. During the creation of this piece, he was inspired by the Panerai designs, and made this watch by expanding on those principles. As his skills in watchmaking improved, his designs showed less influence from other watches, and he started creating more pieces which were unique to the brand. Interestingly, the MoVas GMT features an uncommon horizontal power reserve bar which is easy to read no matter the time. After seeing bronze watches being made by microbrands on watch forums, and realising that most were not actually made of bronze, Sean decided to make a watch which he could control the production process intimately. As many others before him had made “bronze watches” made of brass or coated steel, he instead sourced out factories which worked specifically with the metal to make the Diver IV. 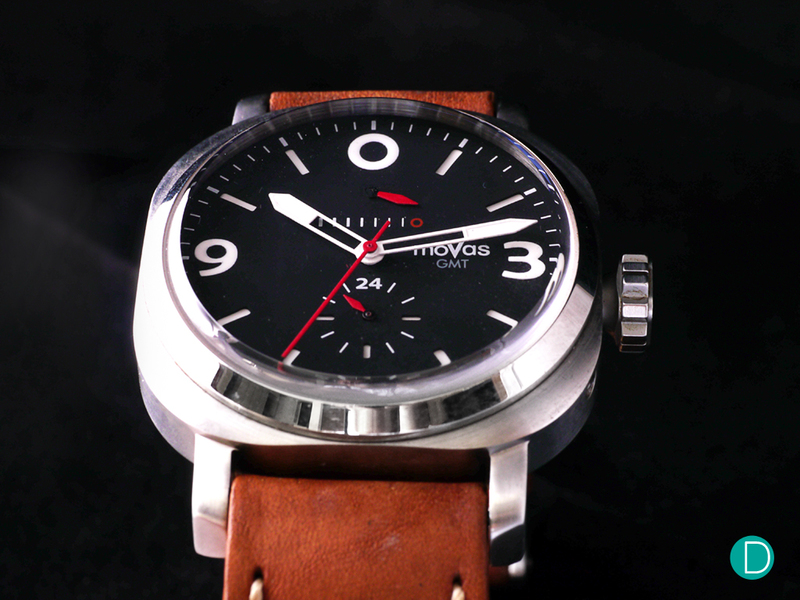 As with most of moVas’s creations, this watch was again only made in limited numbers, with only 50 being made. A modified Seagull movement was used with a bronze skeleton rotor. As an added consideration, Sean shares that he made the caseback in titanium to avoid allergic reactions as that is the area which is in contact with skin the most. In this particular release, R.A.W. stands for “Refined Articulated Watches”, and Sean uses this series to express a different design direction. Within the series, he blends retro and contemporary cues, resulting in a steampunk like design which looks sufficiently modern, yet clearly has roots in the past. Sean’s intention was to design a dress watch with a vintage pocket watch movement style. To Sean, this is a special piece because it is the first round shaped watch which he has produced. In person, this is a very animated watch due to the two balance wheels which take up the bottom half of the watch face. The bronze officer was made in celebration of the 50th Anniversary of the founding of Singapore. Made as an entry level piece with a limited production of 50 pieces. Sean wanted this commemorative watch to be subtle and hence decided not to make it inherently obvious that it was a commemorative watch. 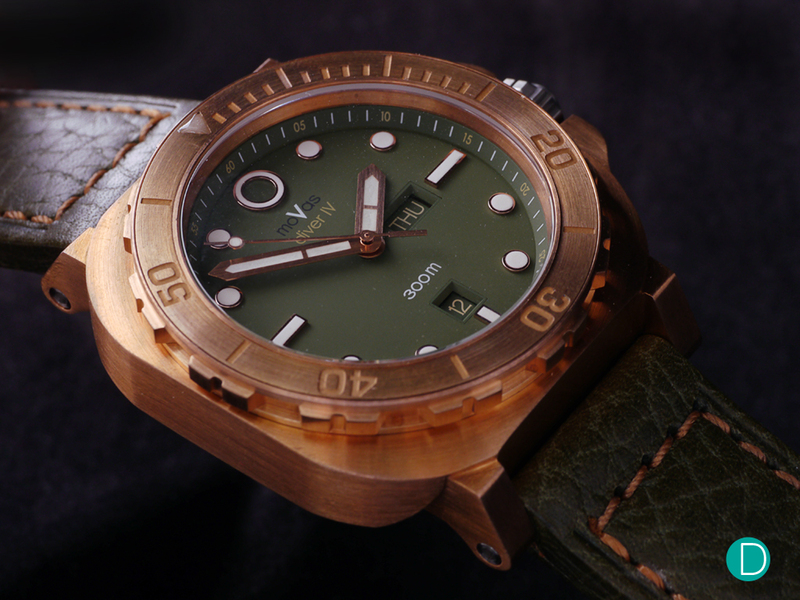 He also tells us that bronze was chosen for the case because he wanted to see more application of this material beyond dive watches, which was then the only category of watches to have used such materials. It is also to highlight Singapore’s history as a major trading port, and the importance of trade in Singapore’s history. However, we think that different materials could have been used to similar effect, but nonetheless, it is an interesting novelty, and it gives a good weight and feel to the watch. 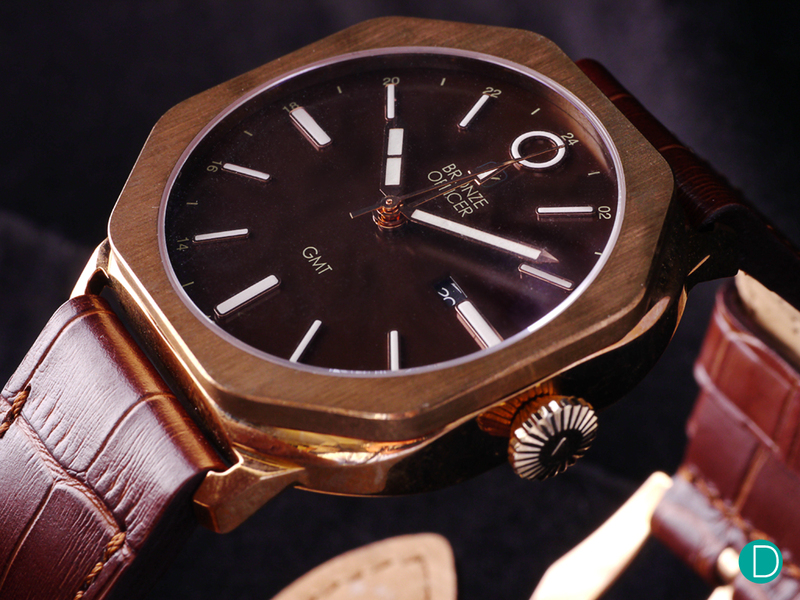 The bronze officer appears to be a watch for a semi-casual occasions, which Sean translated into design by making the watch slimmer and reducing the size of the bezel. One interesting quirk about moVas is the date wheel – at the start of every month, the number displayed on the date wheel is “0” in red. This watch is not an exception. 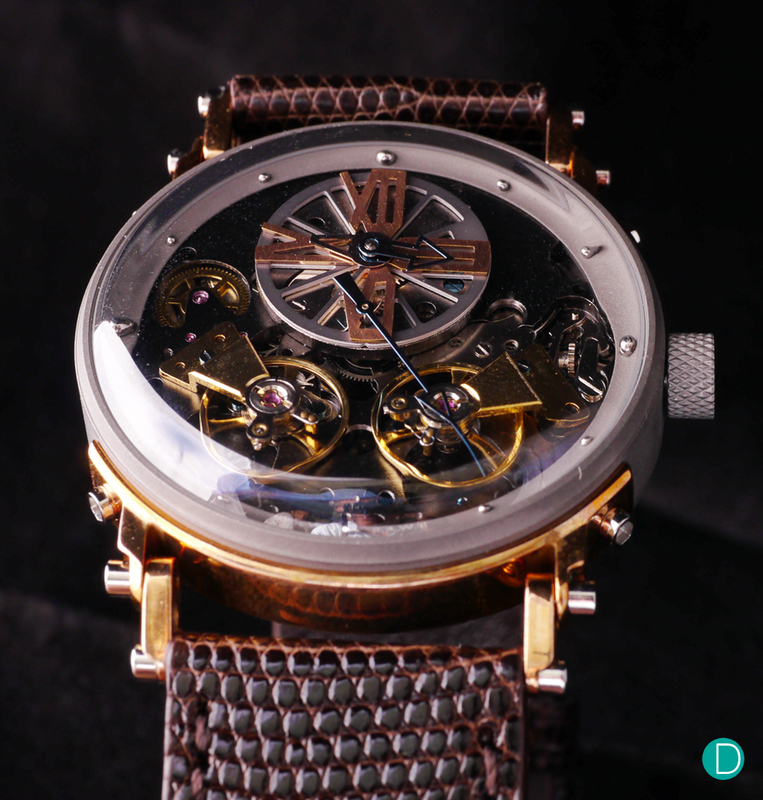 When the moVas Bronze Officer was created, it was planned to be a watch made with carbon fibre to celebrate the Singapore Formula 1 races instead of Singapore’s 50th year of independence. The Incognito Bluey continues on next in the series of watches that Sean has made, with carbon fibre, a design element not realised in the previous iteration. Born out of music that was playing in Sean’s home, when he realised music from the band “Incognito” played every time he got to work on watch design. 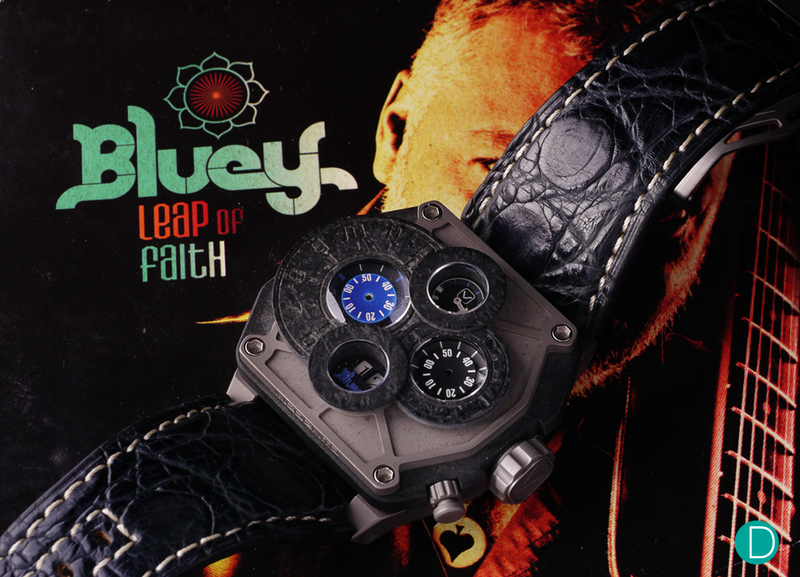 This watch is named after one of the band members, Jean Paul Maunick, also known as “Bluey”, as Sean’s way of showing appreciation to the musician who made the music playing through his difficult times. From Sean’s perspective, the mix of carbon fibre and titanium, in addition to the choice of colours for this watch is a homage to acid jazz. Through some chance, instead of giving Bluey a watch to show his appreciation, Sean ended up collaborating with him instead, and 25 copies of this watch were made, with 5 going to Incognito themselves. This series of How a Watch is made at MoVas will temporarily end here at Part 3. Part 4 will be released as soon as Sean’s Dreamcraft Series is ready for production and review! Stay tuned for further updates! Chief Editor’s Note: Project Movas was a special team set up by the Editorial staff of Ryan Teoh and Khong Jin Sun in collaboration with professional photographer Calvin Wong of Calvin Wong Photography.